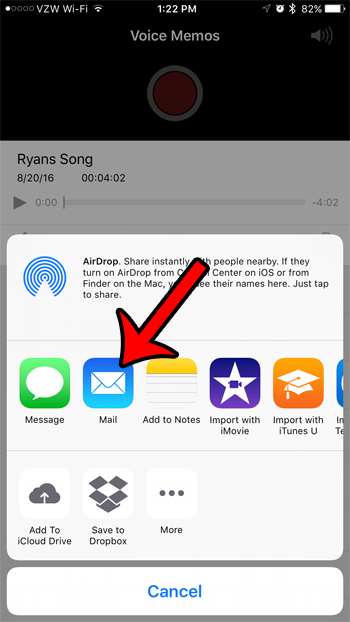 You are here: Home / Mobile / How Can I Send a Voice Memo as an Email from my iPhone 7? 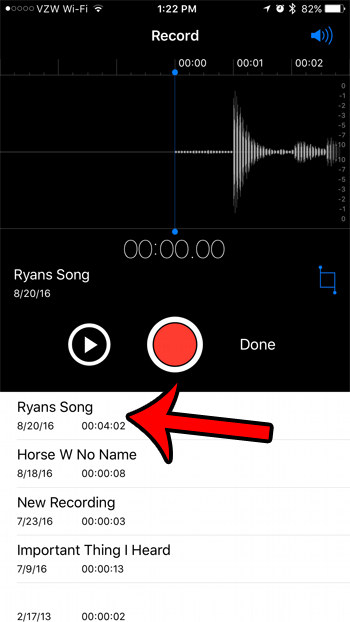 The Voice Memos app on your iPhone is the easiest way for you to record audio from your device. 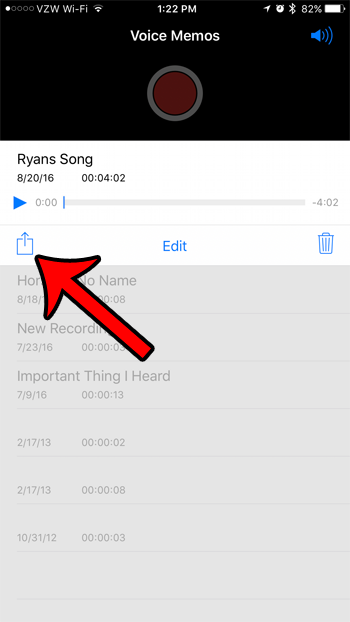 The files are saved within the Voice Memos app so that you can listen to or edit them later. 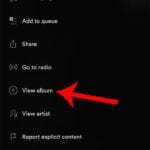 But you have some other ways that you can interact with your voice memos, including the ability to share those voice memos via email. Our guide below will show you how to choose one of your voice memos and include it as an attachment in an email that you send directly from your iPhone. 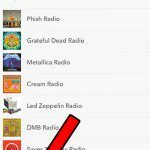 The steps in this article were performed on an iPhone 7 Plus, in iOS 10.1. Many email providers have file size limitations for attachments, so you may have difficulty sending very large voice memos files with some providers. Note that you need to have an email account configured on your iPhone in order to complete this process. This article includes a section on setting up an email account on your iPhone. Step 2: Select the voice memo that you would like to send through email. Step 3: Tap the Share icon. 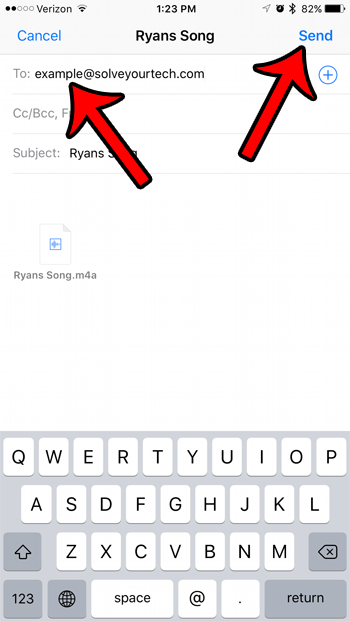 Step 5: Enter the email address of your desired recipient into the To field, then click the Send button at the top-right corner of the screen. Complete the email, then tap the Send button. You can also send voicemails as email attachments from your iPhone. 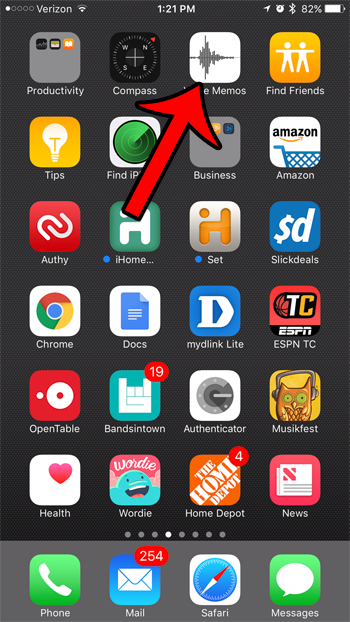 Learn how to share an iPhone voicemail with one of your contacts.